Periodontal disease, or gum disease as it is commonly called, is a generic term for conditions that affect the teeth and gums. The conditions can manifest themselves in many forms and some of them are painless and often difficult to detect until the problem has reached an advanced stage. In its early stages it is often referred to as gingivitis. In the advanced stage is it known as periodontitis. Periodontal disease affects, in varying degrees of severity, over 47% of the over 30 population of the United States. Although the condition is one that usually affects adults, it can occur at any age. Even if none of these are relevant to you, the risk of periodontal disease is always present. If the disease is allowed to go untreated, gum and bone tissue is damaged which can lead to both bone and tooth loss. Once the bone is lost, it cannot grow back. In addition, other complications that affect other parts of the body can arise. Placing antibiotics directly on the affected areas to stop the disease from spreading and promote damage repair. The use of soft tissue lasers focused directly on the affected tissue to provide for a quick and lasting recovery. Thinking that once you have been cured of periodontal disease you can forget about it is a common fallacy. It is not a condition where a person develops immunity. Without proper oral hygiene and tooth and gum care, the condition can develop again. Periodontal diseases are among the most common of dental problems. As said in the beginning, there are often no warning signs until the condition has reached an advanced stage. Following a regular oral hygiene regimen will help to prevent the condition from developing. The only way to catch these problems in the early stage is to have regular dental checkups. The earlier a condition is diagnosed, the quicker the cure. 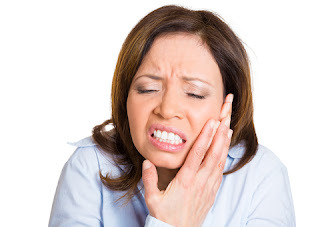 If you suspect that you are suffering from a dental problem, even if it does not cause any discomfort, do not wait till your next checkup to have it examined. Have it checked now and the treatment could be quick and simple.